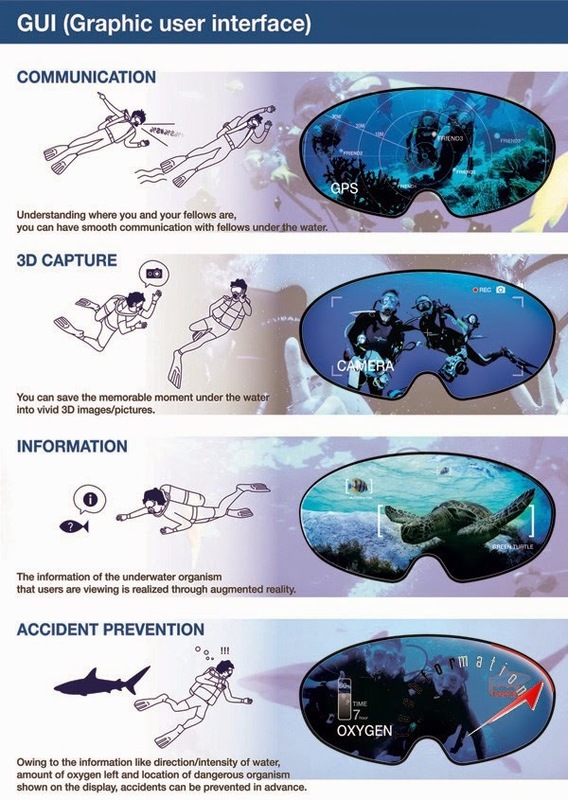 Underwater goggles helps the diver to view what is around in the water. 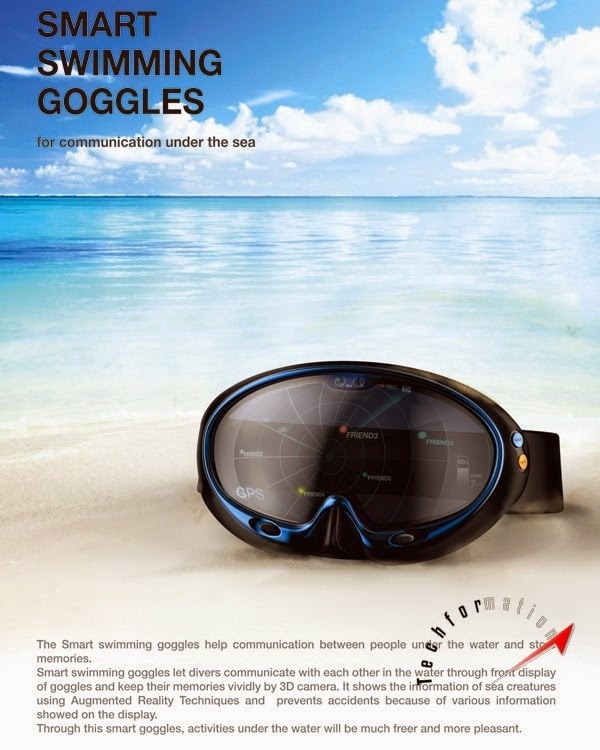 But this smart underwater goggles does lot more. 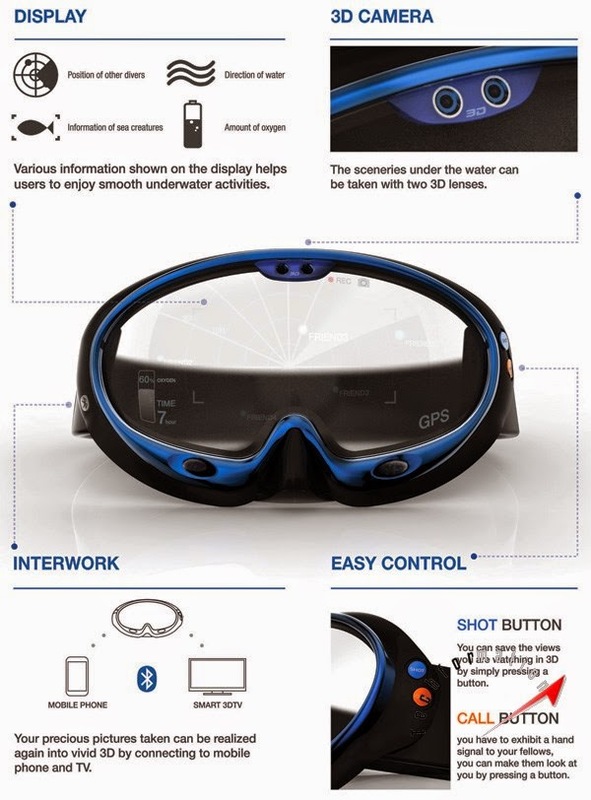 It is equipped with a 3D camera to capture and store the data while swimming. GPS is installed to pin point your location under water. 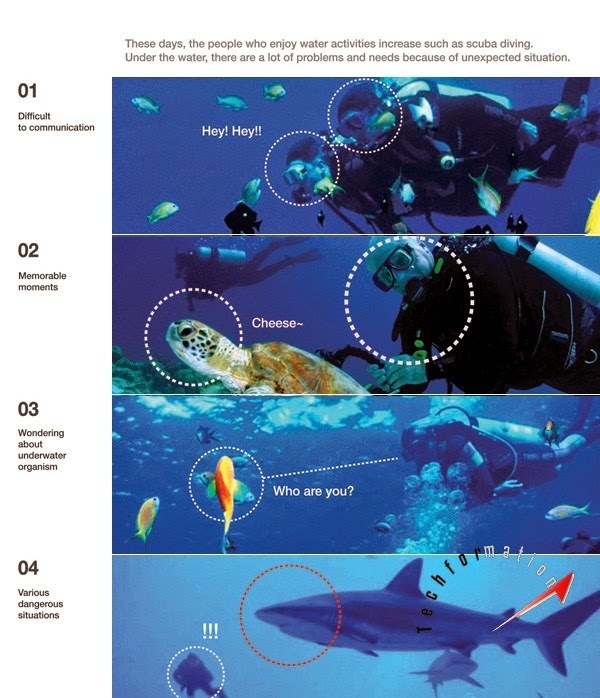 You can communicate with fellow divers through a new way of interaction. Sensors on board will let you know if any creature is coming near you. 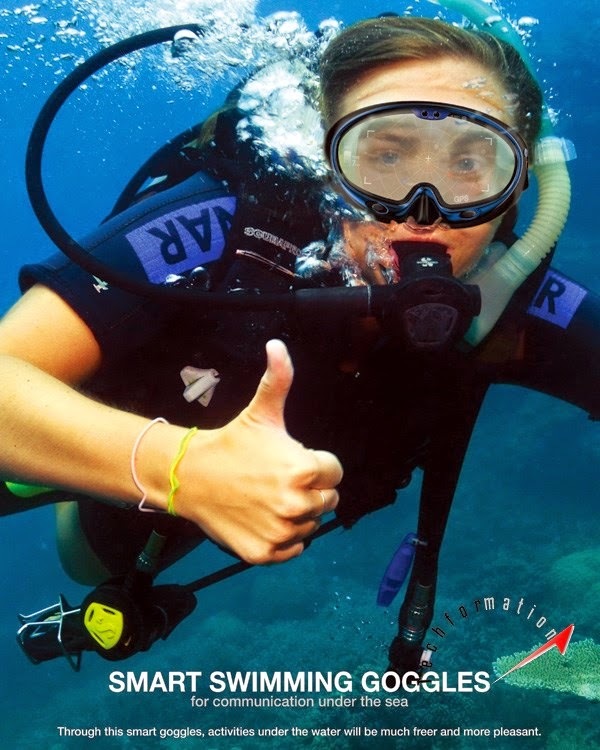 Wear this for a completely new diving experience.